Red Noland INFINITI in Colorado Springs is excited to offer our customers a super-clean, feature-filled pre-owned 2016 INFINITI QX50! This CarFAX One-Owner luxury crossover has low miles on the odometer and is priced well below Kelly Blue Book market value. The combination of Midnight Garnet exterior paint and stunning Wheat leather seats, make this SUV as beautiful as it is capable. 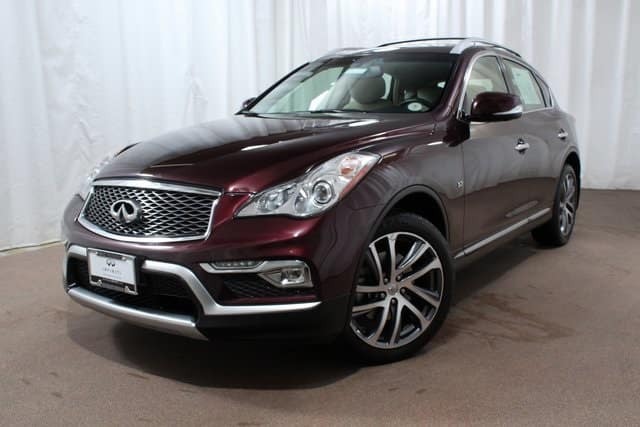 Premium options are abundant throughout this amazing QX50. Drivers along the front range of Colorado are looking for an SUV with excellent performance, a spacious passenger cabin, innovative technology, and world class safety features. This gently-used 2016 INFINITI QX50 fits the bill! Under the hood, a 325-horsepower 3.7-liter 24-valve V-6 engine delivers amazing power to 19-inch split 5-spoke aluminum alloy wheels. Robust power and amazing fuel-efficiency too, earning an estimated 17 MPG in the city and 24 MPG on the highway. An all-wheel drive system offers responsive handling in any weather conditions. Enjoy a collection of luxury features including an 11-speaker Bose® premium audio system, power moonroof, Intelligent Brake Assist, heated front leather seating with memory, INFINITI Navigation system, Around View monitor, and power folding 2nd row seat. Other amazing features include Forward Collision Warning, premium roof rails, Lane Departure Warning/Assist, high-intensity Xenon headlights, Advanced Climate Control System, NavTraffic®, premium stitching on meter hood, aluminum pedals, heated door mirrors, 7-inch touchscreen infotainment system with Bluetooth, Distance Control Assist, and so much more! Priced at just over $26,900, this elegant pre-owned 2016 INFINITI QX50 will not remain in our inventory for long. 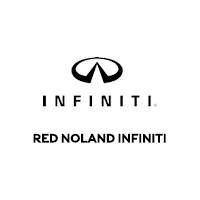 Here at Red Noland INFINITI, we have highly-qualified finance experts that are committed to obtaining the right loan for you quickly and easily. We have an excellent relationship with multiple financial institutions, allowing us to offer the perfect payment for your family budget. Stop in to our Colorado Springs dealership for a test drive of this super-clean crossover and start your loan process today!